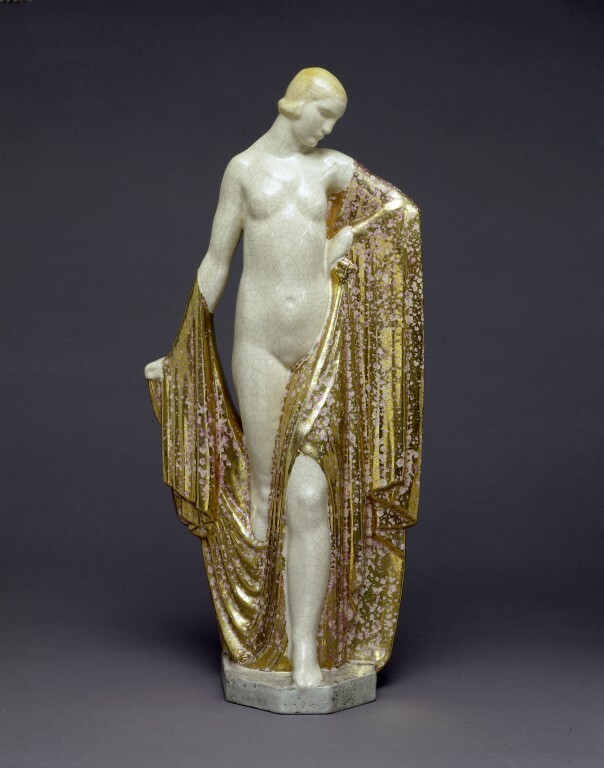 Female figure 'La Soie' ('Silk'), earthenware covered in a white glaze, with enamels and mottled gilding. 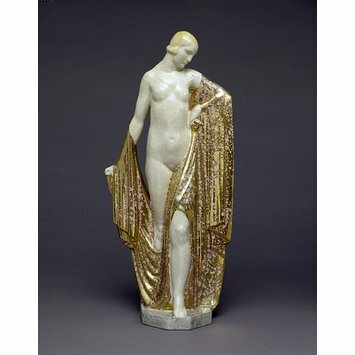 A total of about 100 models were made, of which at least two were shown in the international exhibition, Paris 1925 - one in the silk section of the Pavilion of Lyon and Saint-Etienne, and one in the Ambassade Française presented by the Salon des Artistes Décorateurs. Original model by Marcel Claude Victor Renard.